Eric’s heart is going to burst. His heart is holding all his breath. Except, his cheeks are holding some, and more floats across his eyes. The cars outside keep passing, vague and dizzy through the parlor window. Eric’s head is light now. He has to let it go. A haunting novel of uncommon emotional power, Why She Left Us weaves in and out of the personal tragedies and political persecution of three generations of a Japanese American family and exposes the complex, often destructive bonds of love and honor that tie a family together. At the center of the story is Emi Okada, a young girl who finds herself pregnant and alone on the eve of World War II. She gives up her firstborn, Eric, for adoption, but her mother finds the boy and brings him home, intent on raising him as part of the Okada family. This crucial event becomes a turning point in the story as it dramatically alters the lives of Emi’s parents, siblings, and, later, her children. Betrayals and secrets tear a family apart a family that is already struggling with assimilation, intergenerational conflict, and war. Narrated in turn by Emi’s two children, Eric and Mariko, her mother, Kaori, and her brother Jack, Why She Left Us crisscrosses the century–from Japanese picture brides and migrant farm workers to the incarceration of Japanese Americans in the Colorado desert to contemporary Los Angeles and Hawai’i, where Emi’s two children have settled as adults. 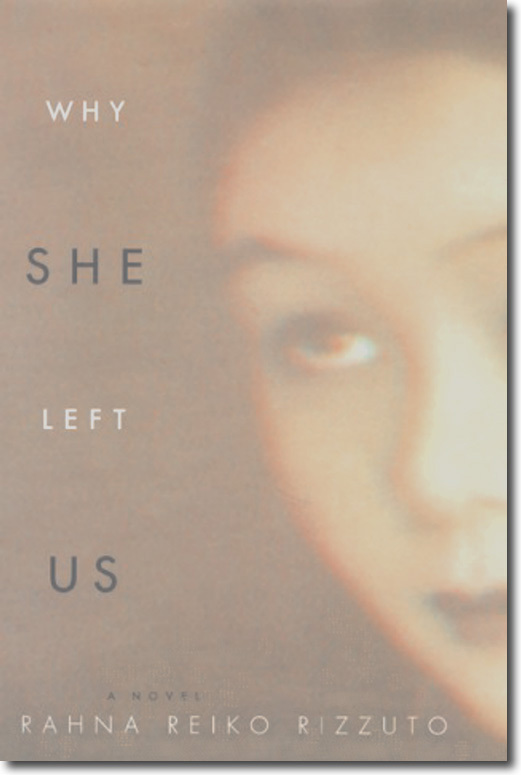 Sparely and exquisitely written, Why She Left Us is a superbly accomplished first novel that illuminated the universal relationships between mothers and their children, while evoking the power of history to affect individual lives.